Weather resistant walking boots with a weight-reducing one-piece upper construction. 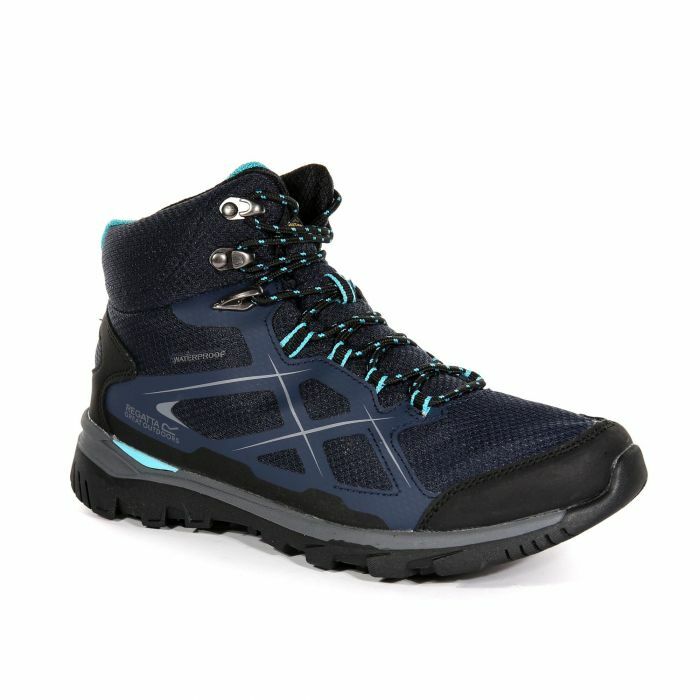 Built for light trails, woodland dog walks or day-to-day wear, the Lady Kota Mid Bot protect, breathe and stabilise. The sleek, lightweight uppers with water-shedding Hydropel technology and a waterproof/breathable ISOTEX membrane keep feet dry inside and out. Odour control LAVA XL treated inners ensure you start fresh and finish fresh. The sturdy rubber outsole provides reliable grip on loose paths and muddy banks. Weighs 430 grams. Service: couldn't fault the service.It was quick and efficient. Service: I had to return a complete order. I had all the information I needed to do this quickly and effectively. Product: Good value purchase - will buy again using this service. Service: It took 3 days before I was advised the goods had been picked which is a lot slower than other similar clothing outlets. They let you know within 24hrs max. Product: Boots seem to be just right. Good value for money. Product: right size, as described.